2017 is the year of lesser bezels on smartphones, and we have seen a lot of phones with a bezel-less or full vision or 18:9 displays. Some of the examples are Galaxy S8, Note 8, iPhone X, Mi Mix 2, LG V30, etc. 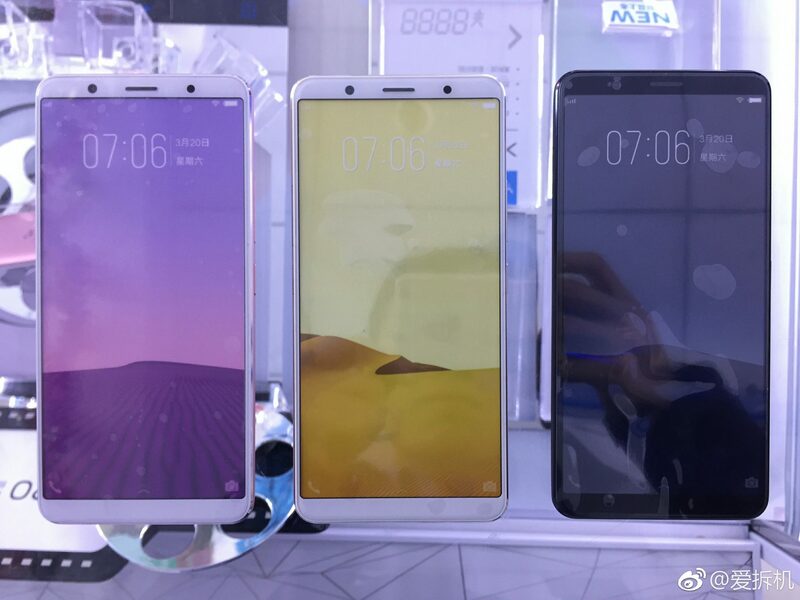 Vivo recently launched the V7+ with an 18:9 display and soon, the company is announcing the Vivo X20 with the same concept, i.e., an 18:9 display. The phone has leaked a lot of times in the past, whether it is via hands-on images or benchmarks. Today, a couple of new images of the phone have shown up that reveal the color options of the device. 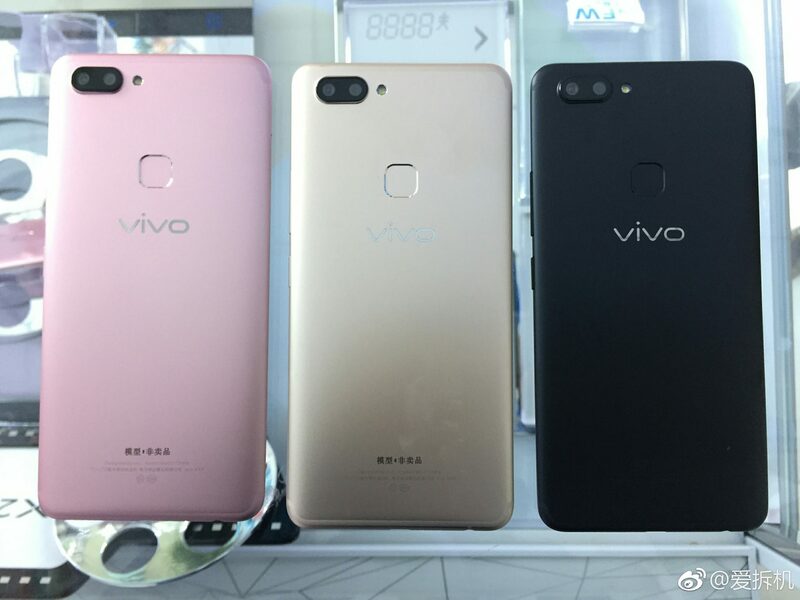 So, as the image above shows, the Vivo X20 will include Rose Gold, Gold and Black color options. We are not sure if there are some more color options or not but at the moment. The design has already been revealed via previous leaks so, the X20 has a dual rear camera setup and below that is the rear-facing fingerprint scanner. The phone has the same Antenna line design as on the iPhone 7. On the front, there is an 18:9 Display and we are not yet sure about the size (it could be 5.8-inch). According to the previous details, the phone is powered by a Snapdragon 660 processor, has 6GB RAM and runs on Android 7.1.1 Nougat out of the box. Also, there is also a Vivo X20A with 4GB RAM. The Vivo X20 is said to feature 24MP primary cameras on the front as well as the rear. A 3,500mAh battery is also expected. The launch date is already confirmed by the company which is 21st September. 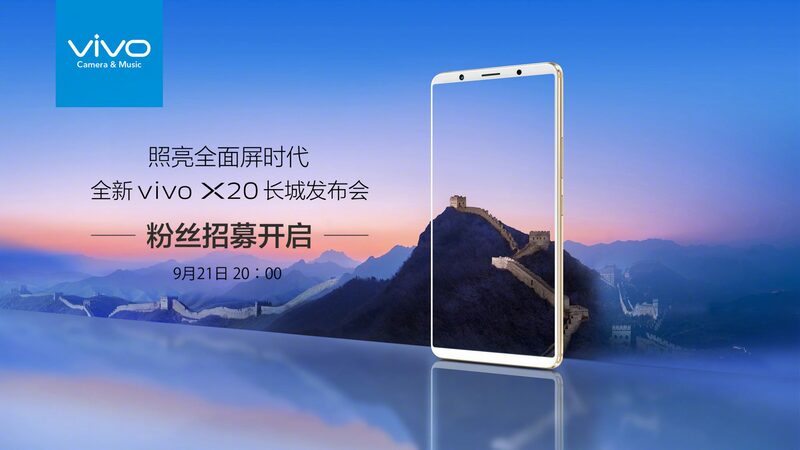 The Vivo X20A might also launch at the same event.